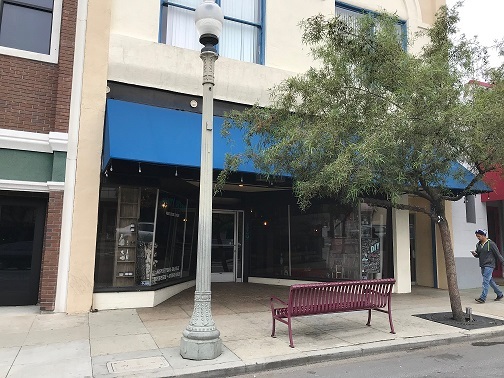 A blog post of mine about the former Bookworm store in Upland has now, thanks to copious Facebook comments and an interview with one of the owners’ children, turned into Wednesday’s column. It’s about a cozier era in bookselling. The Bookworm operated at 229 N. 2nd Ave. in Upland from 1974 to 1996. That means it closed a year before I showed up in the area, alas. Above is the storefront today, which sells antiques and architectural salvage. From 1997 to 2015, it was the Sideboard. It was launched by nine women who had experience at the hospital auxiliary: Jo Ann Chalfant, Mary Gattas, Marge Melillo, Mary Ann Robinson, Barbara Rusche, Marilee Wake, Georgia Westphal and Robbe Wilcox, according to a Daily Report article about the opening. In an email, Curwen told me he was trying to hit the four points of the compass with those four stores. He never visited the Bookworm, but he said, “I do know that it had a good reputation.” That someone outside the area knew about the store and would think to mention it two decades later is impressive. Here’s everything I know, or think I know, about the store. A bookworm was the mascot, the idea of Robinson’s daughter Tricia and rendered by Westphal in images around the store and on employee smocks, according to the Report. The store sold new rather than used books. Ray Bradbury signed books there at least once, but probably more, part of his mission to support small bookstores and libraries. A friend remembers the store as Jo Ann’s Bookworm, a hint that perhaps Jo Ann Chalfant, one of the founders, became the store’s face. “We wanted to open a store with soul,” Chalfant said in the 1974 story. And perhaps they did, at least until the soulless chains took over bookselling. If you remember anything about the store, feel free to chime in in the comments. 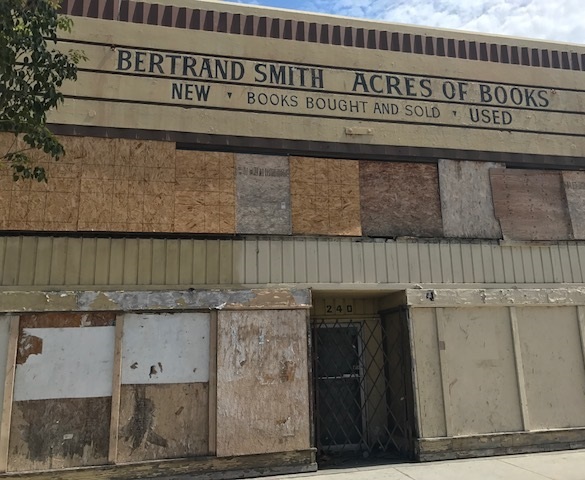 In Long Beach recently, I passed by the sad husk of what was once one of Southern California’s great used bookstores. Acres of Books operated on this site from 1960 to 2008 but was even older, relocating to Long Beach in 1934 after its founding in Cincinnati in 1927. I shopped in the musty, crowded old store a few times in its last decade or so. My copy of Jack Smith’s “The Big Orange,” with its author signature and personal correspondence with the book’s original owner, was bought here. Ray Bradbury was a famous customer and pleaded with Long Beach to save the store, to no avail. 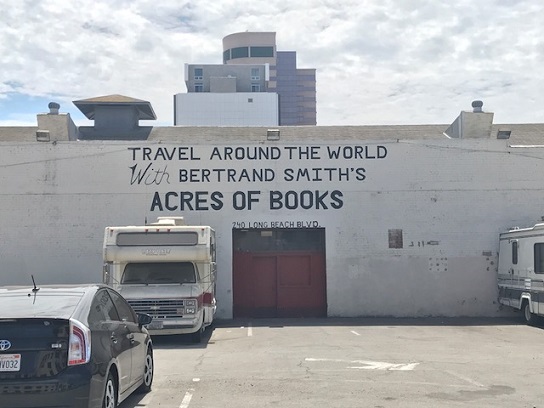 Ironically, City Hall was buying the property with the intent to demolish the bookstore to start an arts district. With the recession and then the end of redevelopment financing, the plans came to naught, but the building and its quaint signage remains.